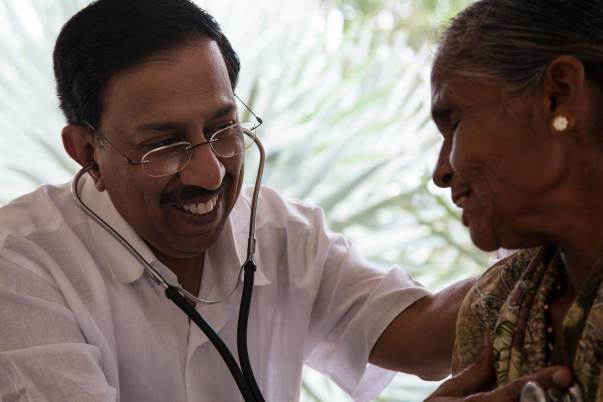 Padmashree Awardee Dr. B Ramana Rao is a Consultant Physician and Cardiologist in Bangalore, who has been in medical practice for over 40 years. 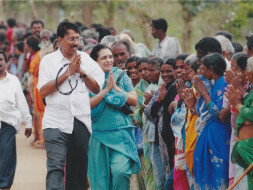 He has dedicated his life to the service of the rural poor, having treated over 2 million patients absolutely free of charge. 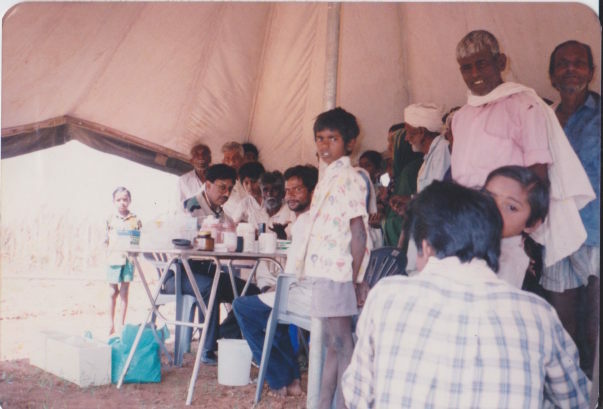 Dr. Ramana Rao started his free village clinic on the very next dayafter passing his MBBS on August 15, 1973 in T.Begur, located 35 km from Bangalore on the Bangalore-Pune National Highway. His service has been running uninterrupted since 44 years every Sunday. It is the world's longest serving free clinic. Dr. Rao’s wife and his two sons (who are also doctors) have joined him in this noble endeavour. His son Dr Charit Bhograj is an interventional cardiologist, and Dr Abhijit Bhograj is an endocrinologist. Most of the patients arriving at the clinic are the elderly. They are first screened by Dr. Rao before being split according to the complaints. Later, the paramedical staff report back to Dr. Rao with findings to seek the course of treatment. 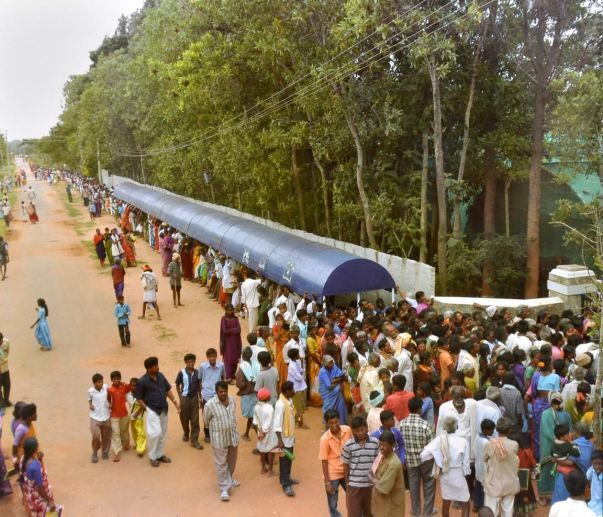 Then again, all patients who come to the clinic on a Sunday — sometimes as many as 2,000 — are provided free food by Dr. Rao making the visit from long distances less painful for some people. And, most of the dozen staff at the clinic are volunteers from villages or former patients of Dr Rao. As it is understood by most of us, the cost of medical services has escalated - primarily the cost of medicines. However, this has not been a deterrent for Dr. Rao. In fact, he has added more healthcare services, by attending to patients for oral health, skin and eye care. Already, medicines, injections and nebulisation were given free of cost to patients. Besides, free cataract surgery is also done at the clinic. 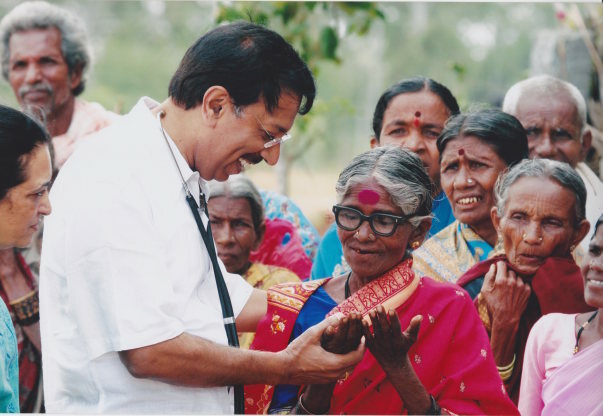 Dr. Rao believes that every one has the right to live with dignity. However, when the elderly in a village do not have access to medical services then a simple infections can lead to serious illnesses. The elederly are kept in a coner of the house and feel like a burden for the society. The village clinic gives back their dignity, treating them free of cost and they can go back to their routine once they are cured. Dr. Rao needs support to offer the best of healthcare services to the rural poor and give them back their dignity. The funds raised will be used to buy medicines, nebulizers, injections for the village clinic. Help Dr. Rao to continue to serve the ever growing number of rural patients who line up in the queues with the hope to get cured. 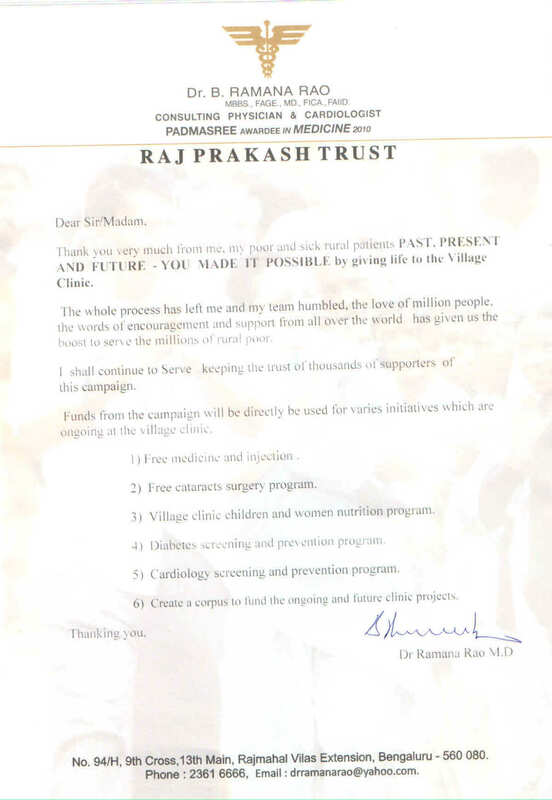 Your support will go directly towards his trust Raj Prakash Trust which works towards providing free medical treatment for thousands of rural communities who cannot afford the treatment. Thank you for your tremendous love and support. It means a lot to us. Thank you everyone for being so supportive. Please find attached the document attached for your reference. We shall keep you posted on the further progress. Purchase of Medicine, Injections consumables such as syringes, blood glucose strips, nebulizer masks, gloves, cotton, lancets, etc. Salaries of 3 doctors, 6 nursing staff 2 pharmacists 20 support staff. Create a Corpus to meet the Daily running cost of the Village clinic. I am further increasing the target amount by another ₹20 lakhs to make sure that we are able to meet the basic operating expenses and create the corpus so that we have funds available in the time of need so that we can continue to run our clinic successfully. Thank you all once again. Please do share this campaign further with your friends and family. May god bless Dr Ramana and provide him much more strength to help poor and needy. Very inspired by you Sir.